On 17 August 2018, All Indonesians are celebrating Indonesia independence day. This same goes on Sekolah Pelita Utama where we celebrate this blessing moment with all students and staff of Sekolah Pelita Utama. We celebrate this day with many activities like traditional competition within each department and we also did not forget our flag ceremony on 17 August 2018 morning. All of the students and staff gathered in their full uniform for flag ceremony. 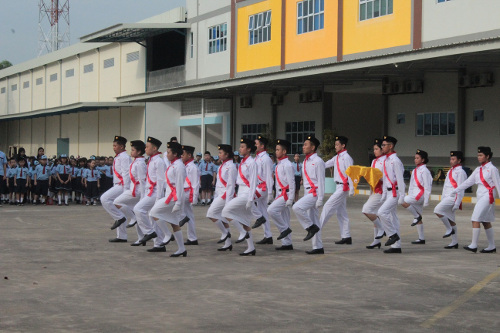 All of our flag ceremony squad looks very terrific in their white uniform (Paskibra).